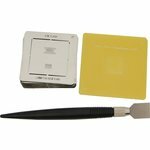 This reballing kit includes 55 BGA stencils specially designed to repair components of most popular models, pallet spatula for BGA paste application and stencil holder. 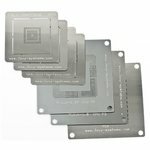 Jovy Systems JV-RMP BGA rework stencils for Sony PlayStation 3 repair. 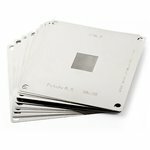 Set includes RSX, CPU P2, CPU P3, A218 CXR713120, CXD9208GP, 06280W019, Si19132CBU. 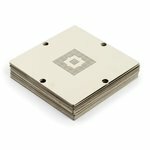 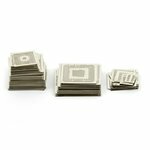 Stencils set for BGA reballing, 56 pcs. 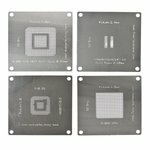 BGA rework stencils for Sony PlayStation 4 repair. 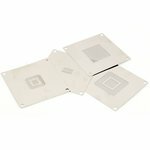 Set includes SCEI CXD90026G; SCEI CXD90025G; Samsung K4B2G1646E-BCK0; Samsung K4G41325FC-HC03 stencils.